Featured is a vintage gelatin silver, single weight, matte finish photo of actor Alan Ladd. An unrestored photo that displays signs of use. May include slight edge wear, light creases, small tears, minor paper loss, or unobtrusive stains. There is paper tape on the verso and mild toning. The photo is signed "To John - Lots of happiness to you - Alan Ladd." 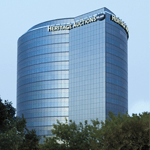 Heritage Auctions believes the signature to be authentic, but know before bidding that no Certificate of Authenticity is provided. Fine/Very Fine.